Blood Angels Chief Librarian Mephiston ventures to a war-torn shrine world to uncover the truth about the mysterious Blade Petrific. The shrine world of Divinatus Prime has become lost to the light of the Astronomican and no ship can piece its veil. Only the Lord of Death himself, Blood Angels Chief Librarian Mephiston, has any hope of discerning the fate of this once pious world. After enacting a powerful blood ritual, Mephiston and an honour guard of his fellow Blood Angels reach the stricken shrine world to find it seized by a religious civil war. Each faction fights for dominance of a potent artefact, the Blade Petrific, said to be wrought by the Emperor Himself. 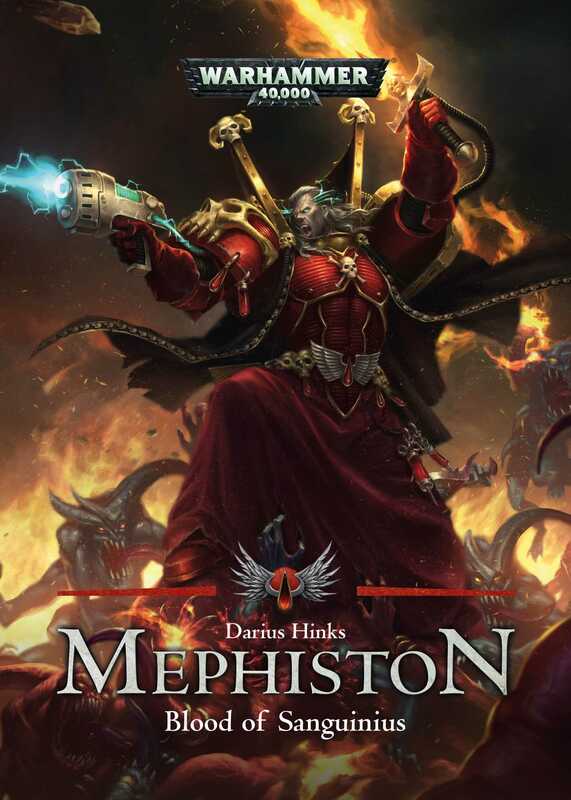 Yet there is more at work here than a mere ideological schism, for Mephiston believes Divinatus Prime could offer answers to how he became the Lord of Death by resisting the Black Rage, and possibly even a way to end the curse of ‘the Flaw’ in all Blood Angels.